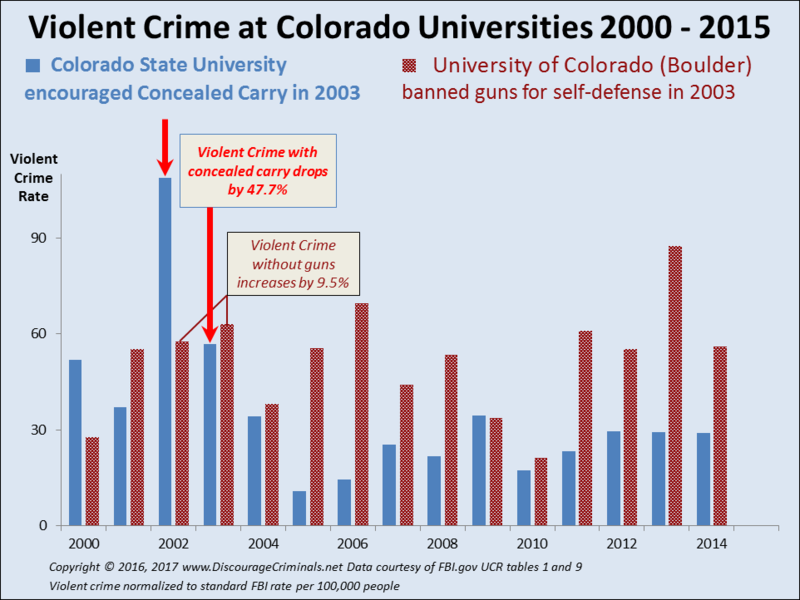 Across the world, government laws banning their people's right to protect themselves with firearms are increasingly widely ignored. 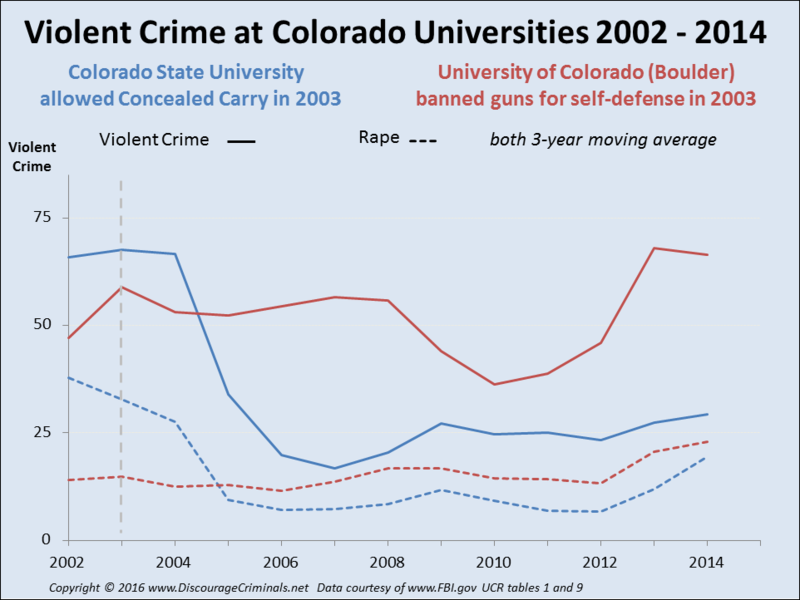 The enormous outcry against the gun bans proposed by President Obama, Senator Feinstein and the Democrats demonstrates how widely such bad laws are seen as unjust. But jurors judging such cases are rarely told they are legally empowered to just say NO! Some US states, such as Montana, North Dakota, and Wyoming, are even considering laws making it a state crime for anyone to enforce new federal gun laws. Across the country, sheriffs publicly proclaim their refusal to allow federal agents to enforce such unconstitutional restrictions. 1. How to Eliminate Bad Laws? Nowadays, trumped-up criminal charges for non-crimes are VERY easy to make. There's "Three Felonies A Day: How The Feds Target The Innocent ," the book by Harvey Silverglate with a foreword by Professor Alan Dershowitz who seems to be the only honest Democrat around. Politicians have put so many laws and regulations on the books that Alex Kozinski, a US appeals-court judge, has authored a provocative essay with the title You're (probably) a federal criminal . People have been jailed for breaking a regulation they've never heard of, so don't upset the arrogant lordlings in power - you could be next! But when there's a corrupt law, how do you get rid of it? Most politicians like to think both they as well as their often badly thought out ideas which criminalize common behavior are infallible. Since it makes no sense for a jury just to rubber-stamp a judge's findings, jury nullification was originally introduced in England to deliver justice and to protect their citizens - people like you - from arrogant government officials and oppressive governments. In 1670, the first case in which a jury nullified a law, the jury members refused to convict two Quaker activists of unlawful assembly, peaceful meeting. The judge was incensed at their refusal to obey his direct orders and sent the whole jury to jail - ordering them to be locked up without food or water! Their imprisonment was adjudged illegal on appeal and the judge forced to accept the jury's verdict. One of them, William Penn, later came to America, where King Charles III of England ceded him the territory now called Pennsylvania (Penn's wood) to establish a Quaker colony free from oppressive government. Jury nullification has a long and proud tradition in America, starting with the 1735 trial of John Peter Zenger. Zenger's weekly journal often criticized New York's corrupt Governor Cosby, despite the seditious libel laws prohibiting any criticism of the King or of Cosby as the King's appointed officer no matter how true. Governor Cosby made various attempts to silence Zenger, such as disbarring his initial lawyers for objecting to the two man court Cosby set up to rig the trial's decision in his favor. Cosby even made an attempt to rig the jury selection, which was rejected as outrageous by his own two hand-picked judges. The prosecutor contended that Zenger printed "false news." Yet the Chief Justice denied Zenger's lawyer the right to demonstrate that his statements were true, on the grounds that the truth is irrelevant. Fortunately, Hamilton was able to convince the jury that Zenger could not have printed "false news" since his articles were demonstrably true! The jury took little time to find Zenger not guilty and to nullify the seditious libel laws. In Maryland and Indiana, the law explicitly requires judges to inform a jury of its right to judge and nullify the law. Article 23 of the Maryland Bill of Rights states: "In the trial of all criminal cases, the JURY shall be the judge of Law, as well as of fact..."
Although judges are not required to educate jurors, some mendaciously inform the jury that its job is not to judge the law, but only to determine the facts. But since it's not the judge's job to judge the law, who does? If the jury doesn't judge a bad or corrupt law as unjust, who carries out this crucial task? 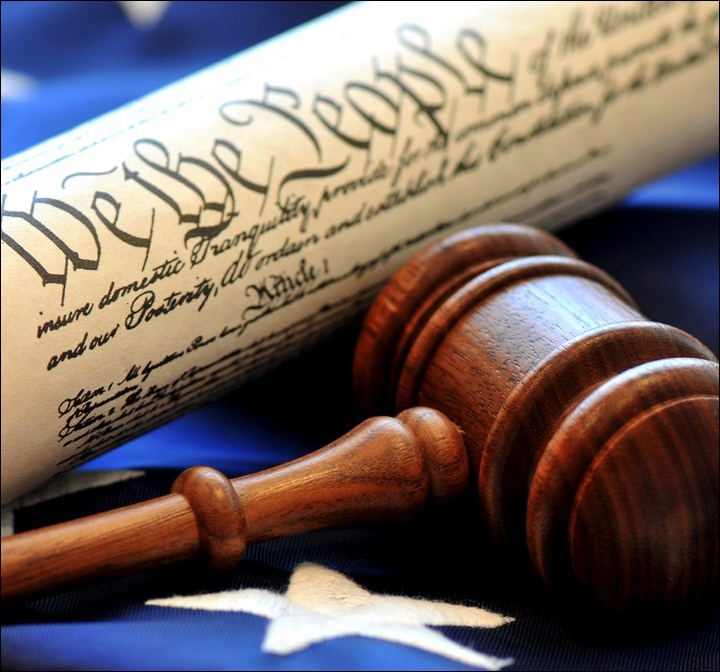 Former federal prosecutor, law professor Paul Butler explains that juries have both the right and power to use jury nullification to eliminate unjust laws. During prohibition, juries refused to convict for breaking alcohol laws, today judges recuse themselves from marijuana trials. The first Chief Justice of the U. S. Supreme Court in 1789 as well as Oliver Wendell Holmes in 1902 explained that the jury should judge both the law as well as the facts of the matter. But, unfortunately, judges can choose not to inform a jury about their crucial duty. "The law itself is on trial quite as much as the cause which is to be decided," said Harlan F. Stone, Chief Justice of the U. S. Supreme Court in 1941. 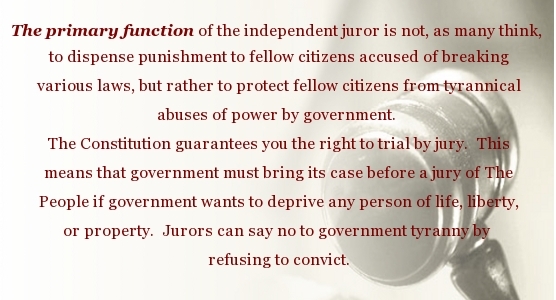 Jury Nullification - see www.fija.org - is a well established constitutional doctrine giving juries the power as well as the responsibility to acquit defen dants who do not deserve punishment as well as to veto bad, corrupt, and unjust laws. The jury's responsibility is not to uphold the law, but to deliver justice. - Abraham Lincoln (1809-1865), 16th president of the USA. "I was summoned for jury duty some years ago ... the attorney asked me whether I could obey the judge's instructions. I answered, "It all depends upon what those instructions are." "I explained that if I were on a jury back in the 1850s, and a person was on trial for violating the Fugitive Slave Act by assisting a runaway slave, I would vote for acquittal regardless of the judge's instructions. The reason is that slavery is unjust and any law supporting it is unjust." - Dr. Walter E. Williams, influential African-American economist, John M. Olin Distinguished Professor of Economics at George Mason University.